The U.S. Supreme Court has effectively expanded the scope of liability for false statements under an SEC rule, and brokers and advisors are now on the hook for information they disseminate from other sources, according to legal analysis of the ruling from the highest court. On March 27, the U.S. Supreme Court ruled in Lorenzo v. SEC that an individual who distributes false statements — whether or not the individual is the “maker” of the statement — can be liable for that statement under the SEC’s Rule 10b-5(b). “The Lorenzo decision greatly expands the range of individuals, under certain circumstances, who can be found liable under Rule 10b-5 and this group will likely see increased activity from the SEC and private litigants,” according to an analysis by Boston-based The Wagner Law Group. “The Court’s ruling indicates that not only primary actors but secondary persons such as broker-dealers, bankers and even attorneys may be subject to Rule 10b-5 liability if there is a knowing or reckless disregard of the truth of a statement — and intent to defraud is linked to that act. Perhaps even class action lawsuits could reach these secondary players,” the law firm adds. The Wagner Law Group says a broker-dealer firm “should remain diligent on the due diligence and reasonable investigation it conducts for securities on its product shelf” because of the Supreme Court ruling. A broker-dealer firm should “at least ensure that materials disseminated as part of its selling efforts are accurate and contain no material misrepresentations,” the law firm notes. 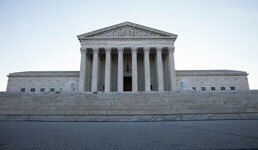 Before the Supreme Court’s Lorenzo ruling, it was considered that the “maker of a statement” under SEC Rule 10b-5 “is the person or entity with ultimate authority over the statement, including its content and whether and how to communicate it,” based on a 2011 Supreme Court ruling in Janus Capital Group, Inc. v. First Derivative Trader, according to The Wagner Law Group. The Lorenzo case involves Francis Lorenzo, who was the director of investment banking at Charles Vista, a registered broker-dealer in Staten Island, N.Y.
Lorenzo sent two emails to potential investors that contained false information about a debenture offering, according to the initial petition to the U.S. Court of Appeals for the District of Columbia circuit. The emails stated that the issuer had $10 million in confirmed assets when the assets were in fact worth less than $400,000. Despite knowing the statements were false, the director sent the emails at the direction of his boss, who supplied the content and approved the messages. Under the previous Janus rationale, the director would not have been found to be the “maker” of the untrue statement under Rule 10b-5(b), according to The Wagner Group. However, in the Lorenzo case, the Supreme Court held that those who do not make statements, but who disseminate false or misleading with the intent to deceive or defraud, can be found liable for making an untrue statement and for engaging in fraud or deceit. Any future litigation related to this rule will “likely focus on factual differences from those in Lorenzo, specifically those facts that may be material enough to narrow the scope of liability” under the rule, according to analysis from Manatt, Phelps & Phillips law firm partner John Libby and associate Molly Wyler published in Bloomberg Law. Libby and Wyler note that the Supreme Court acknowledges that the provisions of Rule 10b-5 capture a wide range of conduct, and applying them may present problems of scope in borderline cases. In its own analysis of the Supreme Court ruling, law firm Paul Hastings says the SEC will likely be encouraged “to pursue broader theories of scheme liability” to identify individuals responsible for a violation. How will the term “disseminate” be defined? Will the definition include conduct where an individual simply forwards an email to another? If an email is forwarded, will all individuals on the email chain potentially face primary scheme liability? What other conduct, beyond dissemination, might be considered part of a scheme such that secondary actors will have primary exposure? “These are among some of the critical questions to ask and consider — principally in light of the fact that the SEC will interpret this decision as sanctioning scheme-based claims against arguably bit participants,” Paul Hastings says.